Download NCERT Solutions for CBSE Class 09 English Language and Literature Beehive The Fun They Had Beehive The Fun They Had English Language and Literature for CBSE class-09. online tests, videos, question papers, notes, online quiz and complete study material for free to use. Download NCERT Solutions for CBSE Class 09 English Language and Literature Beehive Kathmandu Beehive Kathmandu English Language and Literature for CBSE class-09. online tests, videos, question papers, notes, online quiz and complete study material for free to use. Download NCERT Solutions for CBSE Class 09 English Language and Literature Beehive The Sound of Music Beehive The Sound of Music English Language and Literature for CBSE class-09. online tests, videos, question papers, notes, online quiz and complete study material for free to use. Download NCERT Solutions for CBSE Class 09 English Language and Literature Beehive The Little Girl Beehive ch05 The Little Girl English Language and Literature for CBSE class-09. online tests, videos, question papers, notes, online quiz and complete study material for free to use. Download NCERT Solutions for CBSE Class 09 English Language and Literature Beehive A Truly Beautiful Mind Beehive A Truly Beautiful Mind English Language and Literature for CBSE class-09. online tests, videos, question papers, notes, online quiz and complete study material for free to use. Download NCERT Solutions for CBSE Class 09 English Language and Literature Beehive The Snake and the Mirror Beehive The Snake and the Mirror English Language and Literature for CBSE class-09. online tests, videos, question papers, notes, online quiz and complete study material for free to use. Download NCERT Solutions for CBSE Class 09 English Language and Literature Beehive My Childhood Beehive My Childhood English Language and Literature for CBSE class-09. 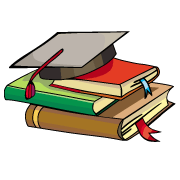 online tests, videos, question papers, notes, online quiz and complete study material for free to use. Download NCERT Solutions for CBSE Class 09 English Language and Literature Beehive Packing Beehive Packing English Language and Literature for CBSE class-09. online tests, videos, question papers, notes, online quiz and complete study material for free to use. Download NCERT Solutions for CBSE Class 09 English Language and Literature Beehive Reach for the Top Beehive Reach for the Top English Language and Literature for CBSE class-09. online tests, videos, question papers, notes, online quiz and complete study material for free to use. Download NCERT Solutions for CBSE Class 09 English Language and Literature Beehive The Bond of Love Beehive The Bond of Love English Language and Literature for CBSE class-09. online tests, videos, question papers, notes, online quiz and complete study material for free to use. Download NCERT Solutions for CBSE Class 09 English Language and Literature Beehive If I Were You Beehive If I Were You English Language and Literature for CBSE class-09. online tests, videos, question papers, notes, online quiz and complete study material for free to use. Download NCERT Solutions for CBSE Class 09 English Language and Literature Beehive Poem The Road Not Taken Beehive Poem The Road Not Taken English Language and Literature for CBSE class-09. online tests, videos, question papers, notes, online quiz and complete study material for free to use. 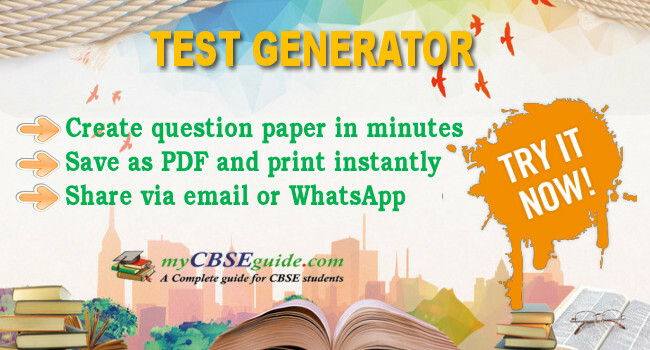 Download NCERT Solutions for CBSE Class 09 English Language and Literature Beehive Poem Wind Beehive Poem Wind English Language and Literature for CBSE class-09. online tests, videos, question papers, notes, online quiz and complete study material for free to use. Download NCERT Solutions for CBSE Class 09 English Language and Literature Beehive Poem Rain on the Roof Beehive Poem Rain on the Roof English Language and Literature for CBSE class-09. online tests, videos, question papers, notes, online quiz and complete study material for free to use. Download NCERT Solutions for CBSE Class 09 English Language and Literature Beehive Poem The Lake Isle of Innisfree Beehive ch08 Poem The Lake Isle of Innisfree English Language and Literature for CBSE class-09. online tests, videos, question papers, notes, online quiz and complete study material for free to use. Download NCERT Solutions for CBSE Class 09 English Language and Literature Beehive Poem A Legend of the Northland Beehive Poem A Legend of the Northland English Language and Literature for CBSE class-09. online tests, videos, question papers, notes, online quiz and complete study material for free to use. Download NCERT Solutions for CBSE Class 09 English Language and Literature Beehive Poem No Men Are Foreign Beehive Poem No Men Are Foreign English Language and Literature for CBSE class-09. online tests, videos, question papers, notes, online quiz and complete study material for free to use. Download NCERT Solutions for CBSE Class 09 English Language and Literature Beehive Poem On Killing a Tree Beehive Poem On Killing a Tree English Language and Literature for CBSE class-09. online tests, videos, question papers, notes, online quiz and complete study material for free to use. Download NCERT Solutions for CBSE Class 09 English Language and Literature Beehive Poem The Snake Trying Beehive Poem The Snake Trying English Language and Literature for CBSE class-09. online tests, videos, question papers, notes, online quiz and complete study material for free to use. Download NCERT Solutions for CBSE Class 09 English Language and Literature Beehive Poem A Slumber Did My Spirit Seal Beehive Poem A Slumber Did My Spirit Seal English Language and Literature for CBSE class-09. online tests, videos, question papers, notes, online quiz and complete study material for free to use. Download NCERT Solutions for CBSE Class 09 English Language and Literature Moments The Lost Child Moments The Lost Child English Language and Literature for CBSE class-09. online tests, videos, question papers, notes, online quiz and complete study material for free to use. Download NCERT Solutions for CBSE Class 09 English Language and Literature Moments The Adventures of Toto Moments The Adventures of Toto English Language and Literature for CBSE class-09. online tests, videos, question papers, notes, online quiz and complete study material for free to use. Download NCERT Solutions for CBSE Class 09 English Language and Literature Moments Iswaran the Storyteller Moments Iswaran the Storyteller English Language and Literature for CBSE class-09. online tests, videos, question papers, notes, online quiz and complete study material for free to use. Download NCERT Solutions for CBSE Class 09 English Language and Literature Moments In the Kingdom of Fools Moments In the Kingdom of Fools English Language and Literature for CBSE class-09. online tests, videos, question papers, notes, online quiz and complete study material for free to use. Download NCERT Solutions for CBSE Class 09 English Language and Literature Moments The Happy Prince Moments The Happy Prince English Language and Literature for CBSE class-09. online tests, videos, question papers, notes, online quiz and complete study material for free to use. Download NCERT Solutions for CBSE Class 09 English Language and Literature Moments Weathering the Storm in Ersama Moments Weathering the Storm in Ersama English Language and Literature for CBSE class-09. online tests, videos, question papers, notes, online quiz and complete study material for free to use. Download NCERT Solutions for CBSE Class 09 English Language and Literature Moments The Last Leaf Moments The Last Leaf English Language and Literature for CBSE class-09. online tests, videos, question papers, notes, online quiz and complete study material for free to use. Download NCERT Solutions for CBSE Class 09 English Language and Literature Moments A House is Not a Home Moments A House is Not a Home English Language and Literature for CBSE class-09. online tests, videos, question papers, notes, online quiz and complete study material for free to use. Download NCERT Solutions for CBSE Class 09 English Language and Literature Moments The Accidental Tourist Moments The Accidental Tourist English Language and Literature for CBSE class-09. online tests, videos, question papers, notes, online quiz and complete study material for free to use. Download NCERT Solutions for CBSE Class 09 English Language and Literature Moments The Beggar Moments The Beggar English Language and Literature for CBSE class-09. online tests, videos, question papers, notes, online quiz and complete study material for free to use. NCERT 9th class English Language and Literature book solutions are available in PDF format for free download. These ncert book chapter wise questions and answers are very helpful for CBSE board exam. CBSE recommends NCERT books and most of the questions in CBSE exam are asked from NCERT text books. Class 9 English Language and Literature chapter wise NCERT solution for English Language and Literature part 1 and English Language and Literature part 2 for all the chapters can be downloaded from our website and myCBSEguide mobile app for free. The annual examination will be of 80 marks, with a duration of three hours. This section will have two reading passages. (iii) take up questions for discussion to encourage pupils to participate and to marshal their ideas and express and defend their views. Grammar: Grammar items mentioned in the syllabus will be taught and assessed. CBSE class 9th English Language and Literature have two books. Each book has chapters and topics. Here is the list of topics covered under each chapter of class 9 English Language and Literature NCERT text book. NCERT Solutions Class 9 English Language and Literature PDF (Download) Free from myCBSEguide app and myCBSEguide website. Ncert solution class 9 English Language and Literature includes text book solutions from both part 1 and part 2. NCERT Solutions for CBSE Class 9 English Language and Literature Reader have total 11 chapters. Class 9 English Language and Literature ncert Solutions in pdf for free Download are given in this website. 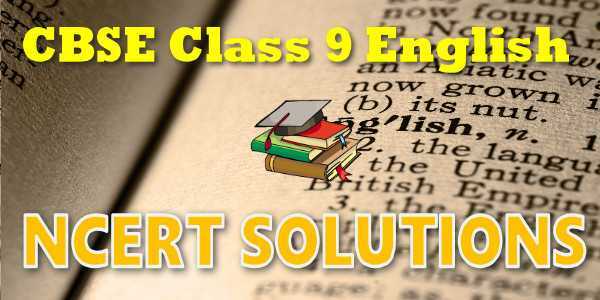 Ncert English Language and Literature class 9 solutions PDF and English Language and Literature ncert class 9 PDF solutions with latest modifications and as per the latest CBSE syllabus are only available in myCBSEguide.